Great tips Lewis. You’re unknowingly having quite an inspirational impact on my life at the minute, giving me such focus and drive to achieve things that can become possible. Great tips and blogs. Keep them coming! How long before the swim did you begin to train? Thank you for these wise words. What distances do you swim during your training? At the peak of my training, I try to swim the same distance as the Channel (35km) each week. It gets divided up differently, depending on my training. In the early parts, 6km six times per week. Towards the end, 12km three times per week. At the end a 20km session and a 15km session per week. And lots of stretching. Top tips – thanks Lewis. Some really helpful advice in here. I had the priveledge of hearing you speak to a small crowd today as a kind gesture on your behalf. I have been inspired in ways I cannot describe in words. Thank you for listening to the voice on the inside of you. Which will leave an everlasting impact on your environment and ours. 1. Find the best coach in town. Make sure he / she suits your personality and most importantly, believes in you. 2. Train with tough swimmers. The quality of your training is directly proportional to the quality of your training partners. 3. Do the mileage. The sea finds out quickly if you’ve not done enough training. 4. Train in miserable conditions. The difference will be a tremendous relief on the day. 5. Become friends with the cold. 16°C feels icy after 10 hours. 6. Spend loads of time on technique. When you get the basics right everything else falls into place. 7. Visualize a successful crossing over and over again. The body can not go where the mind has not been. 8. Secure the most experienced pilot. You don’t want to do one extra kilometer. 9. Have patience – don’t get frustrated and pick the wrong day to cross. Timing is everything. 10. Eat what works for you. Make sure you’ve tried it out many times before. You don’t want a nasty surprise on the day. 11. Don’t dive in unless you’re 100% committed. Most crossings are won or lost before the first stroke is taken. 12. 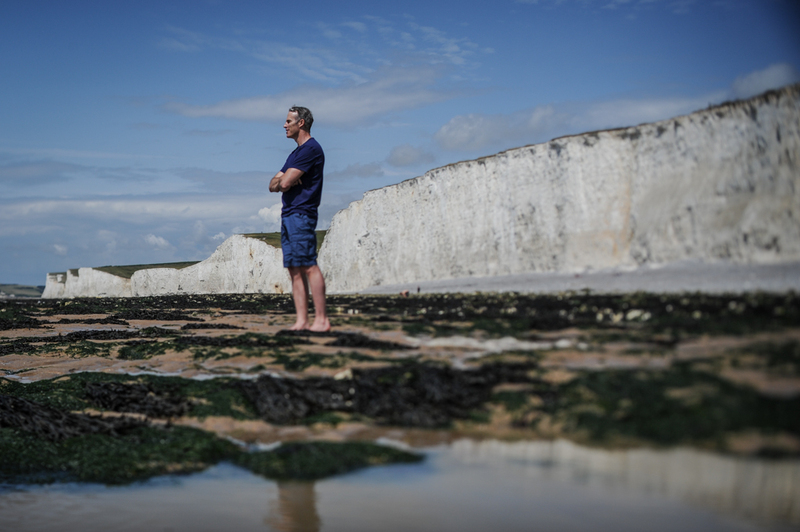 When you swim from England to France, leave all your doubts on the beach in England. 13. Remember, when you dive in at Dover, you are actually half way to France, because all the training and planning is also part of the effort. 14. Have someone inspiring second you, who can make good judgment calls and keep you going. 15. 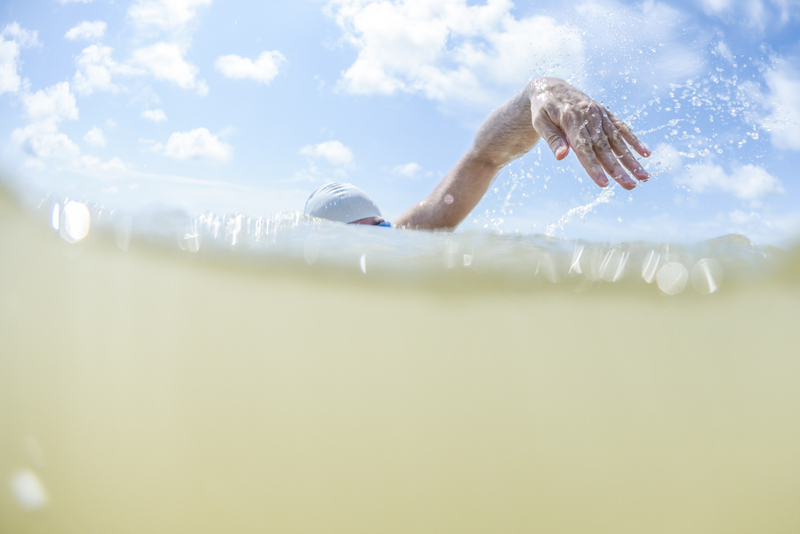 Swim at a comfortable and consistent pace. Plodders get to France. Sprinters don’t. 16. Make sure your feed breaks are regular but short. When you stop, you get cold. 17. Give your all. Don’t wake up one day wishing you’d tried. Great things never come from inside your comfort zone. 18. There will always be dozens of reasons to quit. Think of just ONE reason to keep on going, it will make all the difference. 19. When things get tough, remember it’s easier to carry on, than it is to give up. That’s because the type of person who attempts the Channel, will be back next year to attempt it again. 20. Never look back. When you are three-quarters of the way across, you can still see the white Cliffs of Dover just behind you! Look ahead, and focus on where you’re heading. 21. Finally, if someone says you can’t achieve your dream, don’t waste good time arguing. Walk away and do it.